Follow our social media channels for videos by Mike Bender, instructional tips, student success stories and MORE! 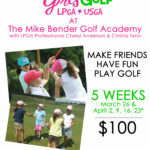 The Mike Bender Elite Golf Academy is designed from top to bottom to deliver a complete training experience in an intimate setting under the on-site guidance of one of the most accomplished teachers in the world. 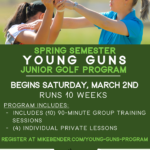 With boarding and non-boarding options available, if you are a young golfer dedicated to reaching your full competitive potential at the collegiate and professional ranks, this is the ideal program for you.